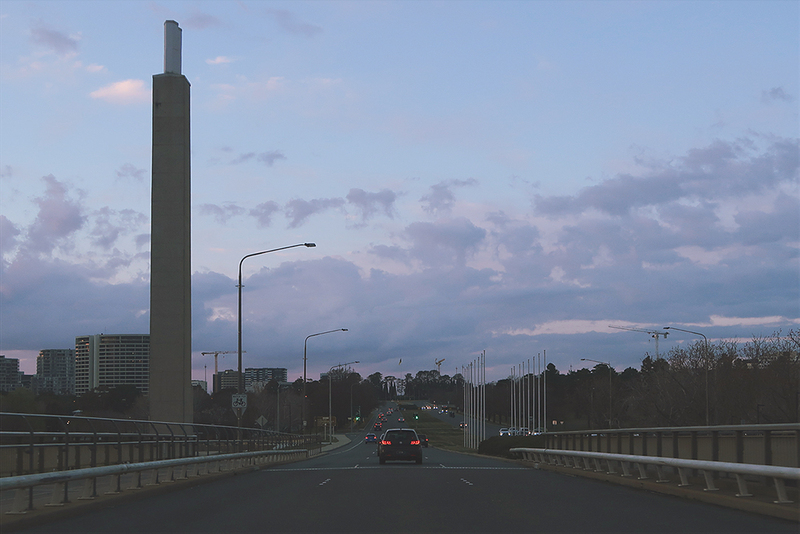 One weekend in September I visited Canberra for a brief getaway. 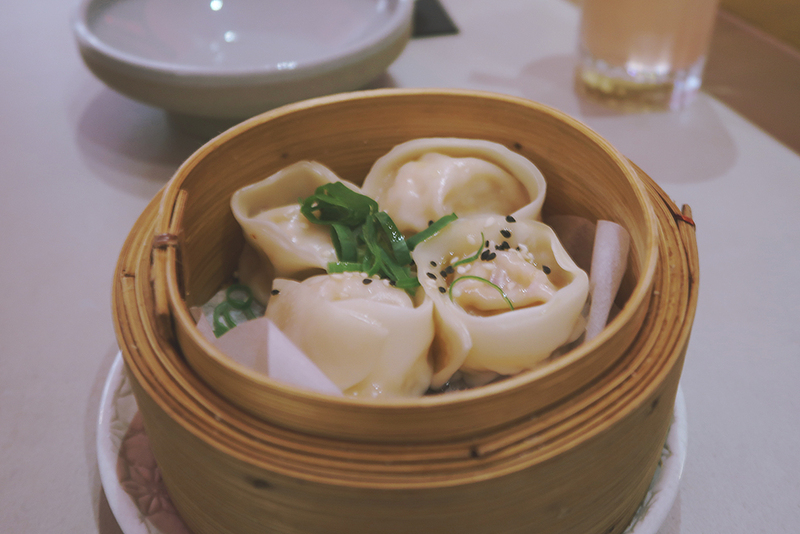 My dad was keen to check out the American Master’s art exhibition at the National Gallery of Australia, while I was interested in checking out some of the new vegan spots, so we decided to travel together by train on the 8th of September. As I’m so used to vlogging, I’m still getting into the habit of taking both photos and video, but I still managed to photograph some of the best moments. 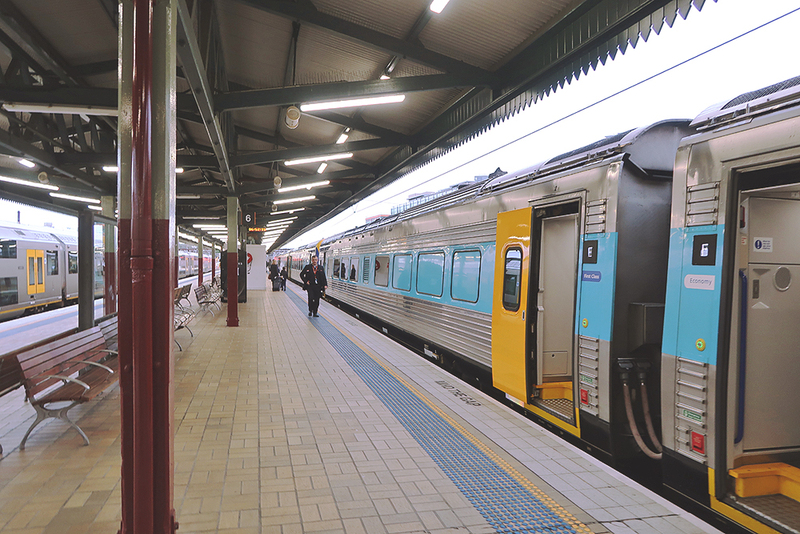 This may come as a surprise to some, but I rarely travel via train within Australia and have never used them to travel between cities until we took one to Canberra. First Class, baby! Although nowhere near as boujie as it’s air-travel counterpart, lol. Our train left at 7am bright and early on Saturday morning. First stop after our arrival – doughnuts! Doughnut Department was a very well-branded and spacious shop with a variety of yeast-risen fried donuts with standard and vegan options. Pictured is a blueberry donut (I think? 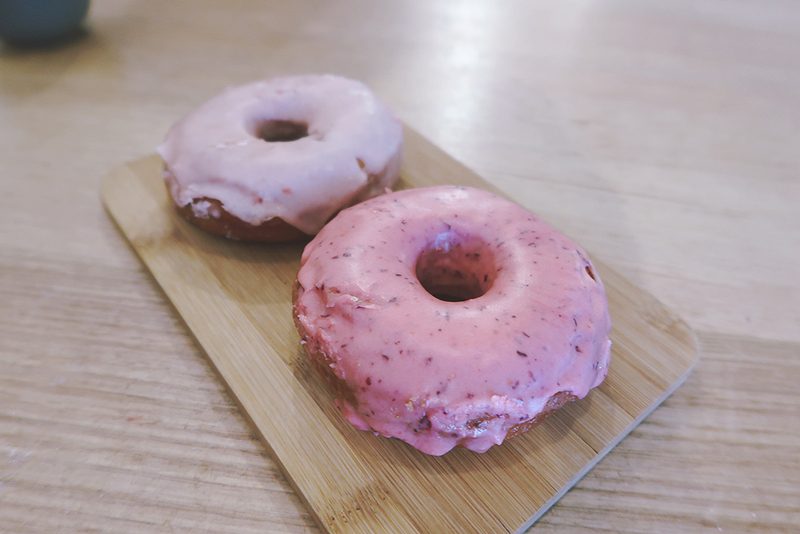 or maybe it was raspberry) and a strawberry donut, both vegan. These were slightly chewier and more bread-like than other yeasted donuts I’ve had, which I liked because anything different is always a plus for me. I also appreciate how the icing was naturally-flavoured, which you can tell just by looking at them. 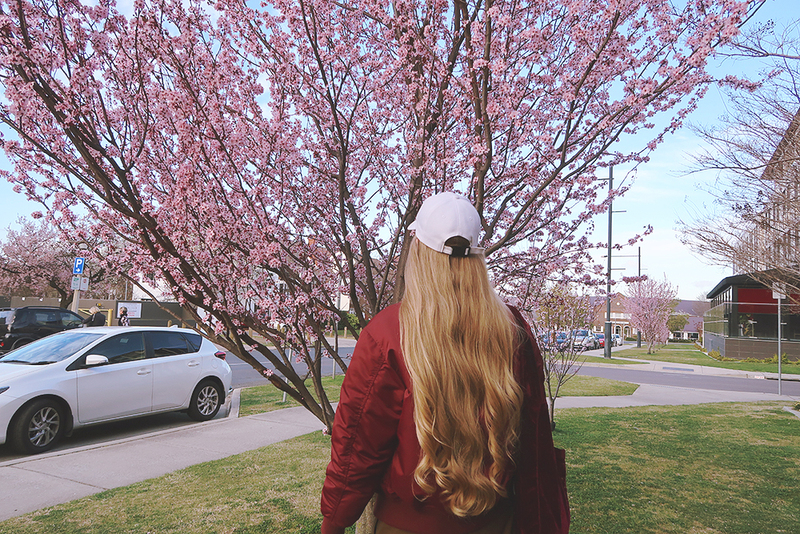 At this time of year, the streets of Canberra are lined with beautiful pink blossoms. 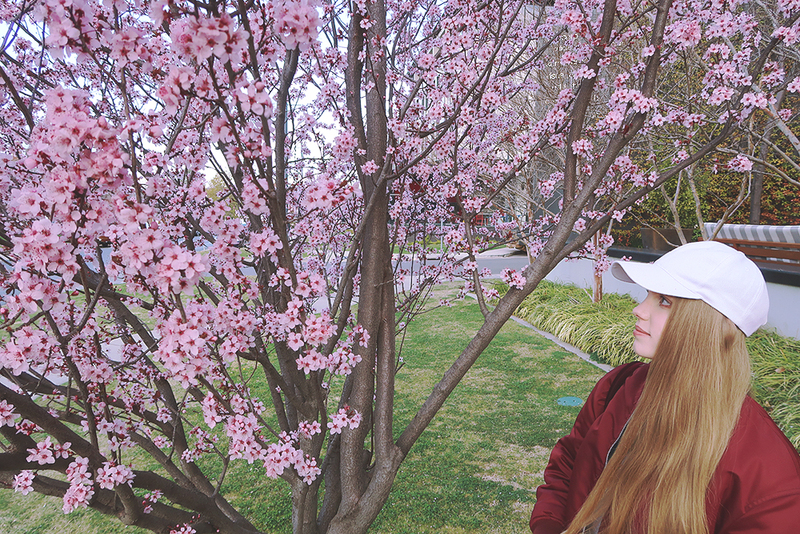 This was my first time seeing the blossoms as every other time I’ve visited they weren’t in bloom – and here I was thinking you could only see abundances of cherry blossoms in Japan. 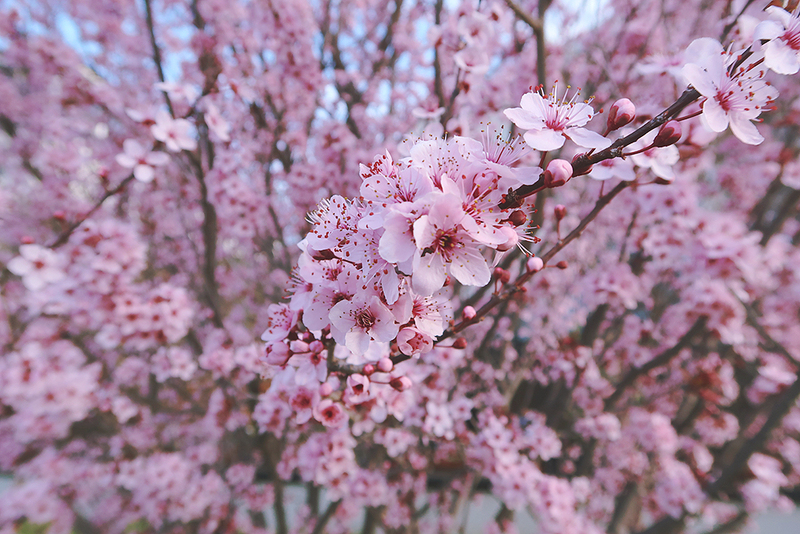 We aren’t completely sure what type of blossoms these are, but they do look very close to the diagram of a cherry blossom I found online. Any flower experts out there, please feel free to let us know in the comments. One of my favourite parts about Canberra is how quiet it is. Even though it’s technically a city, it has a small-town feel. If you don’t like people, you will love Canberra (lol). 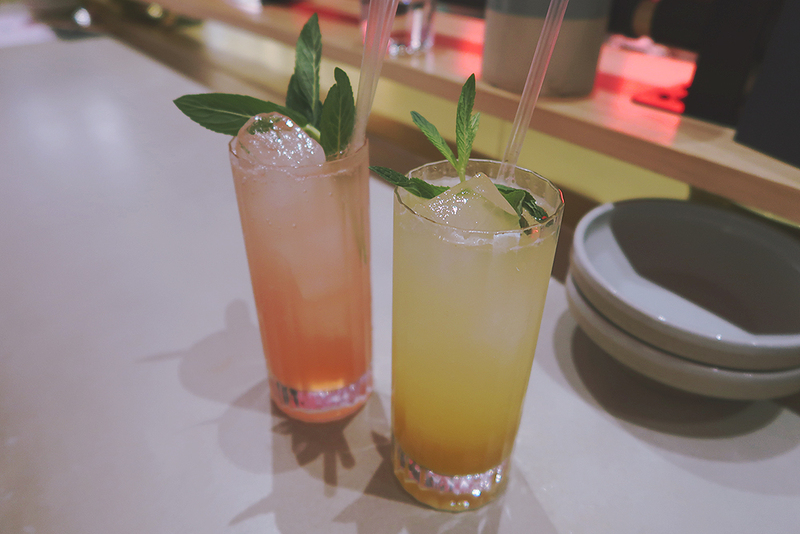 For dinner we checked out Lazy Su, a very trendy and aesthetically-pleasing Asian fusion restaurant with lots of labelled vegan menu items. This place is insanely popular and was booked out for the weekend days in advance, so we got there a little before 6pm and grabbed a great walk-in table. As we were perched on stools (the comfortable kind with a footrest, very important!) we had a great view of the whole restaurant, so I do recommend those tables over the regular ones closer to the ground, even if those ones require a booking. 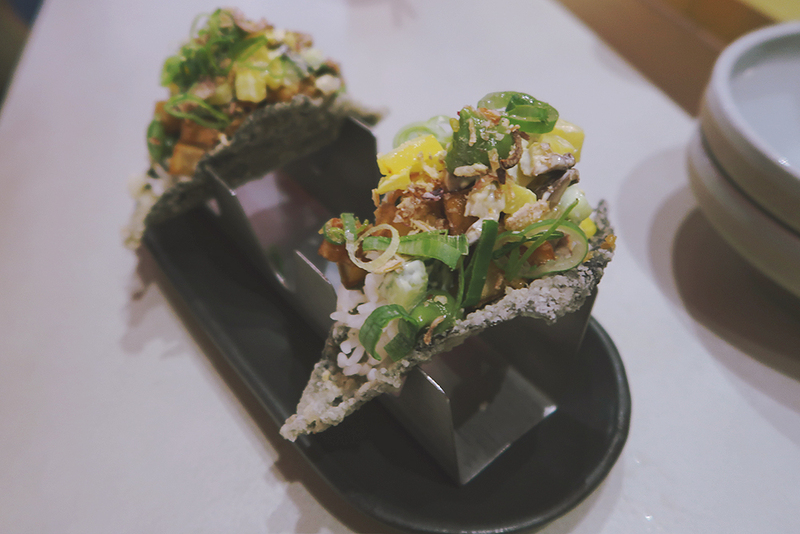 Pictured above are the sweet potato nori tacos which come in a super crispy nori shell. So unique and delicious, definitely my favourite. Above is the mini vegan cheeseburger bao. 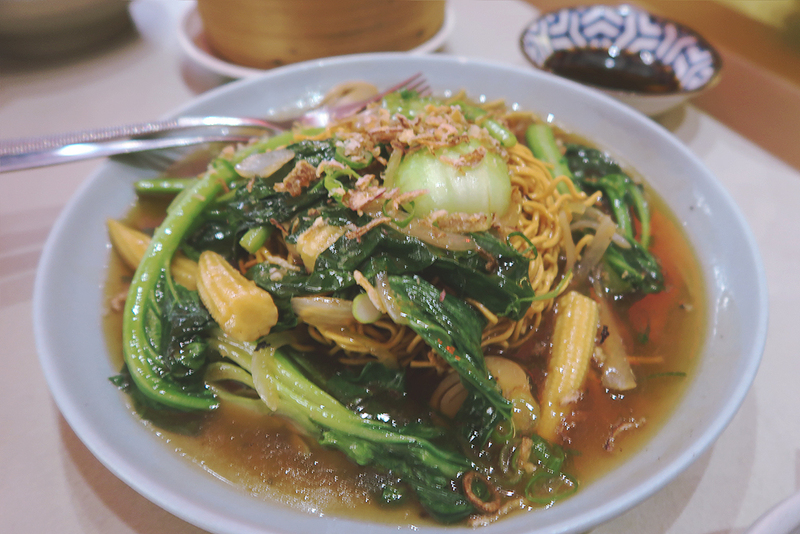 It looks better than it tastes! 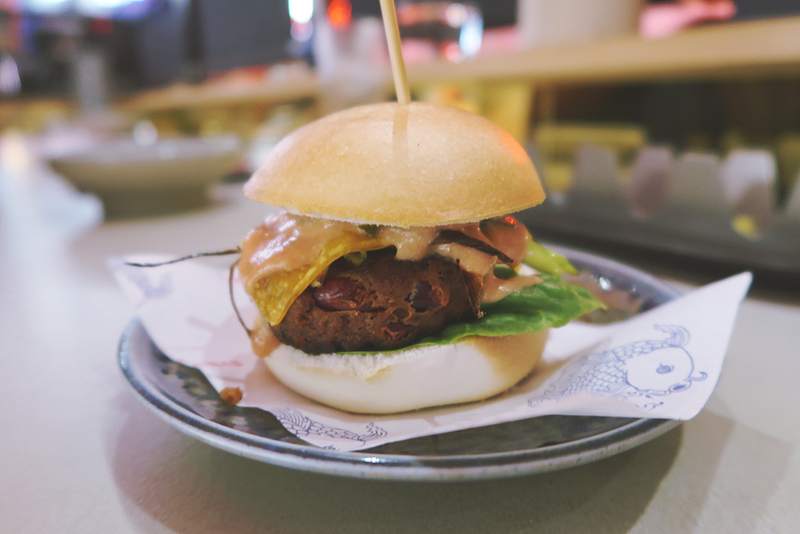 Unfortunately the burger was mostly only one texture and it lacked that umami flavour. The funky design of the restaurant continues in the restrooms (yes, I used the word ‘funky’, but I really feel like it’s a fitting way to describe it, ok). 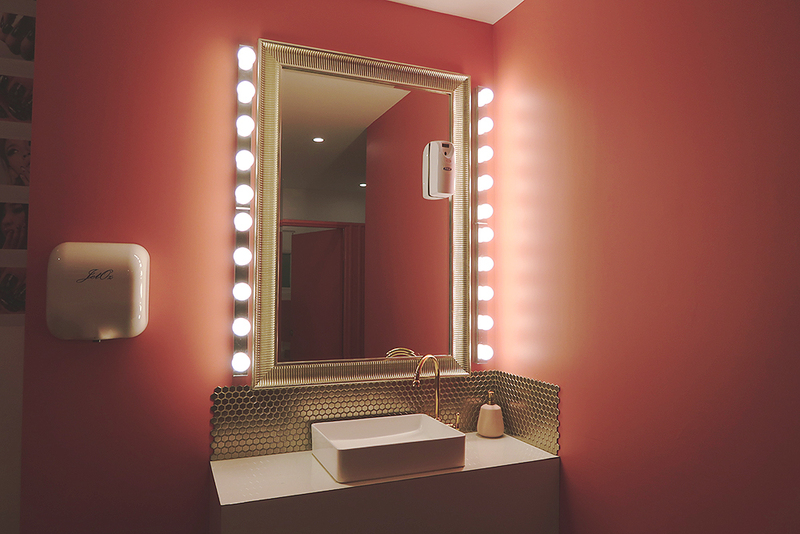 The women’s restroom had a salmon pink colour scheme and walls lined with photographs of k-pop stars and nail art. I see you, CL! 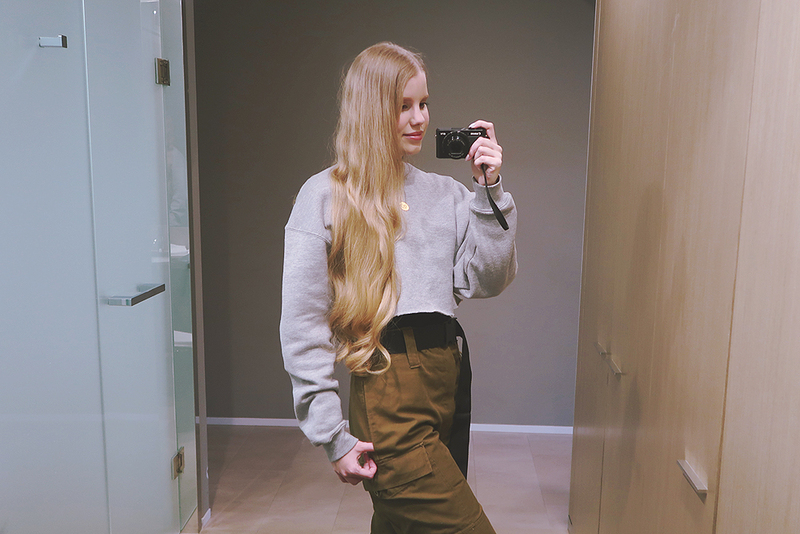 Hotel mirror OOTD! We stayed at the Burbury Hotel Canberra if anyone was curious. 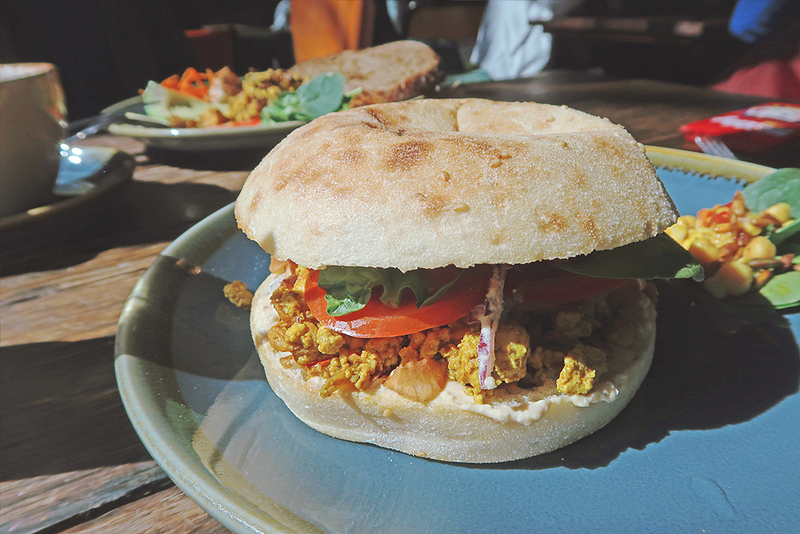 The next morning we checked out what is easily the best vegan spot in Canberra, Sweet Bones Bakery and Cafe. What makes it so great is it’s extensive menu of breakfast, lunch and beverage options, plus a cabinet packed with fresh baked treats including cinnamon buns, cupcakes, brownies, cheesecakes, cake pops and much more. I also greatly appreciate that they make large quantities of their baked goods so you don’t feel like you have to arrive at 9am just to get a dang pastry, lol. 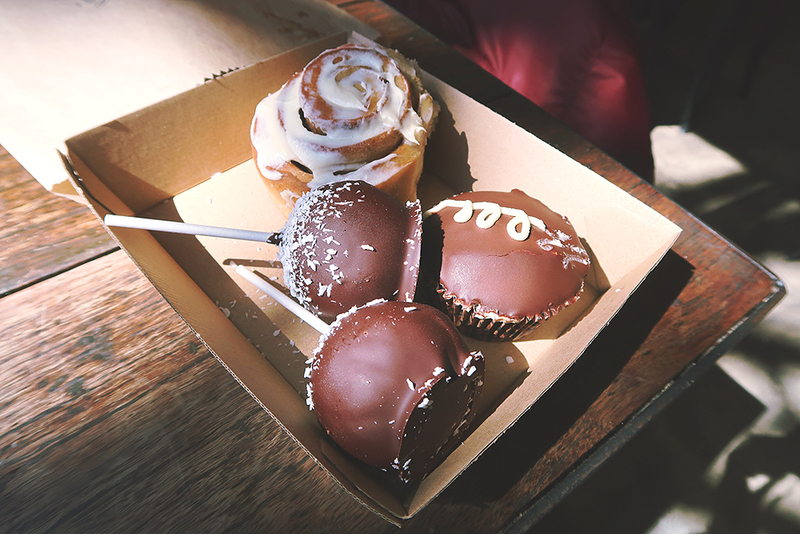 The goods to-go: Another hostess cupcake, two cake pops (which were huge and insanely decadent) and of course, a cinnamon roll (my favourite). 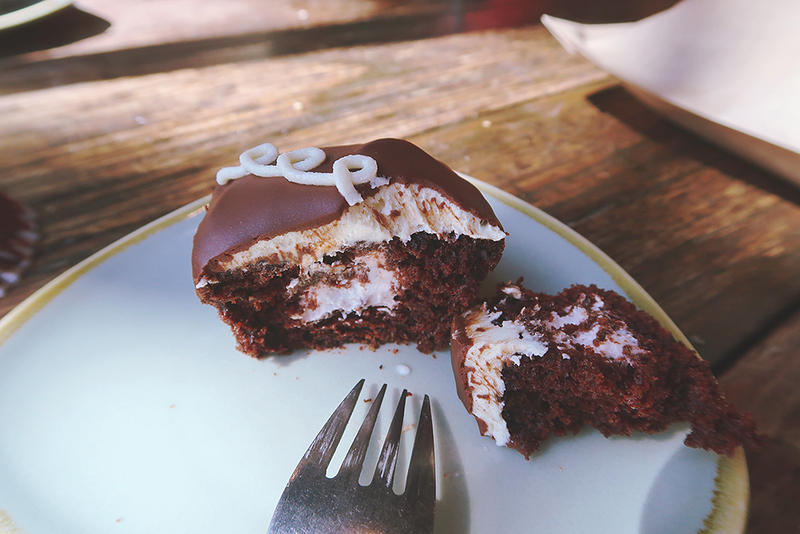 The latter was so soft, sweet and spiced with plenty of icing. It made a great afternoon snack before the long train ride home. This blog post coordinates with my most recent vlog which you can click here to watch on YouTube or see below. Be sure to leave a comment on this post as I read all of them and do my best to reply to all of them too!